Today get four SP update in a row in my 3.1 plus. Latest update to 5 Jan 2019. We can expect the pie update with February security patch . 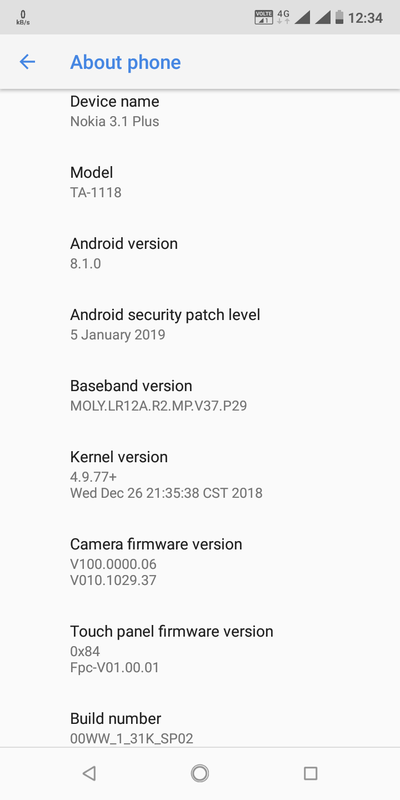 If you go through the previous phones they always got it with the security pathches.. so now as we see the 3.1 plus users are getting the patches together thus keeping it updated... We can expect pie with the latest February security patch..but it is totally upto google and nokia..